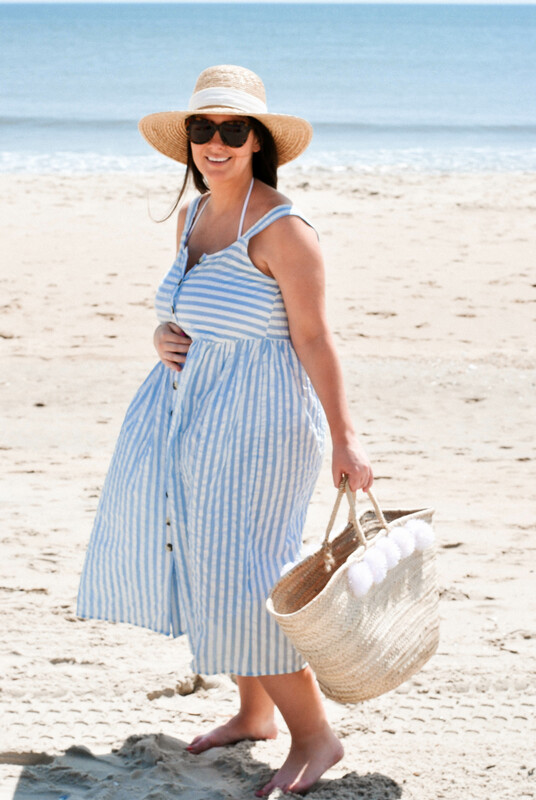 The deets: ASOS dress (not maternity used as a cover-up, also love this similar style) J.Crew Factory suit (also not maternity but worked great - comes in a ton of colors); Eliza Gran tote (similar under $40, also found this ADORABLE kids version); J.Crew hat (old, similar, similar); Karen Walker sunnies (similar dupe under $11). Not going to lie to you guys, I was straight up PANICKED about the beach trip I just took last weekend. My body is changing by the minute and not in the most flattering way and even though I am SO SO grateful for everything it's currently doing to grow my baby girl, I didn't exactly want to put it all out there on display. 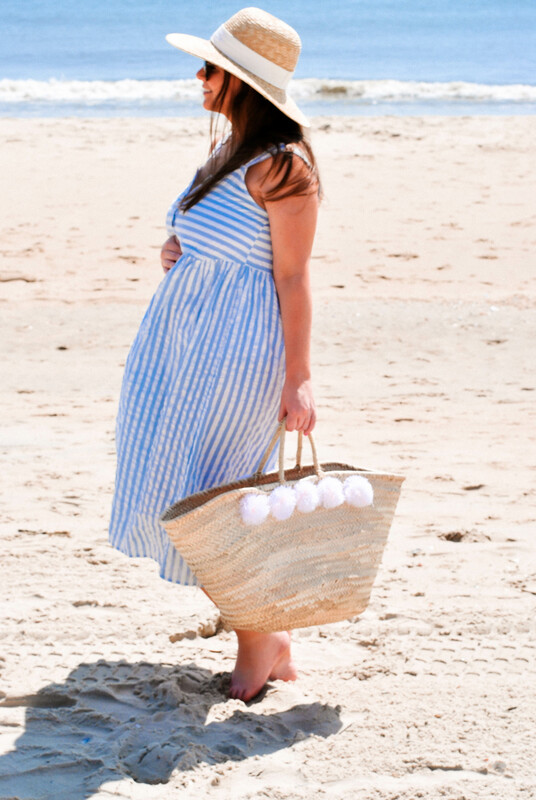 I ordered and returned suits and cover-ups like a mad woman frantically trying to find something to work but as it turns out - the two non maternity things I took a chance on ended up being the most comfortable. 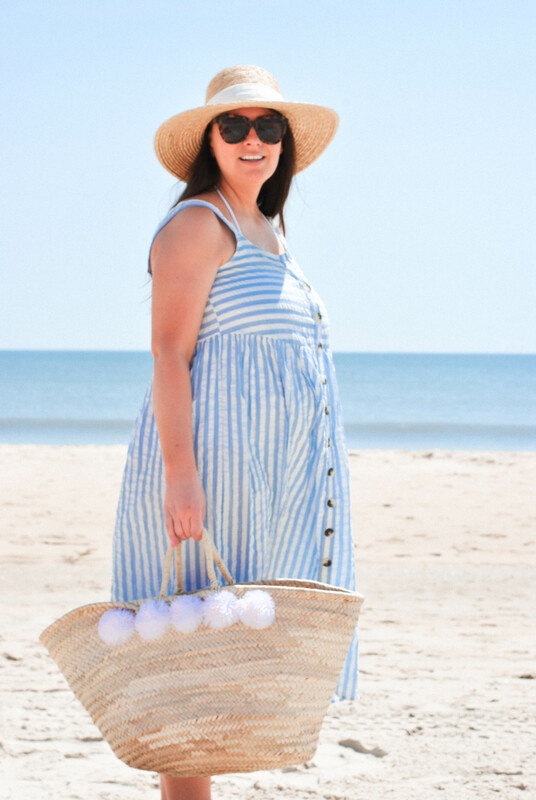 I also realized that when you are at a beach over Memorial Day Weekend, it's 87 degrees and sunny and also a hot spot destination for college students - the pregnant lady on the beach is basically invisible. I could have been out there shaking my tail feather and no one would have cared or even noticed. 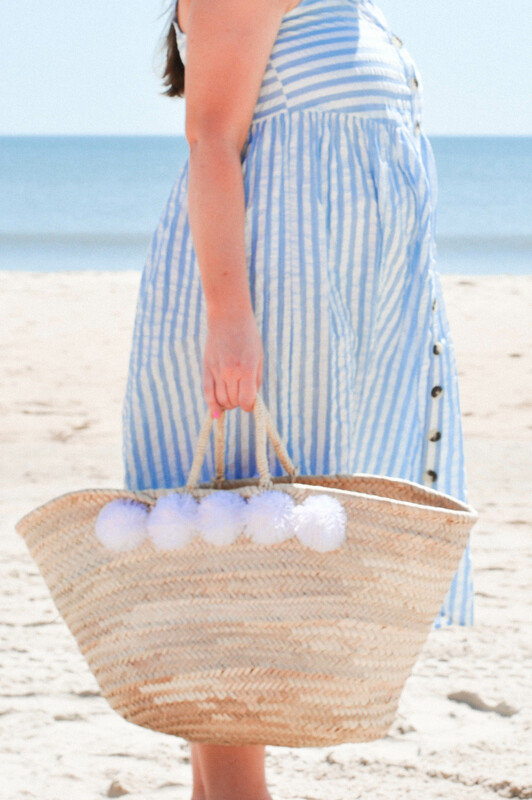 We had AMAZING weather the entire weekend and it felt so good to get my toes in the sand, dip my body in the ocean, and relax. I am so glad I didn't chicken out because the R&R time was just what I needed in my 25th week of pregnancy.